You probably got straight to discovering all of the phone’s features when you bought the Samsung Galaxy S4, but the device has a few hidden features you probably didn’t know about. Below are 10 features that you might have missed when playing around with your device. If you never tried pulling down the status bar with two fingers instead of one, you should try it, because it brings up the full list of settings, instead of just 5, like it would have happened when pulling it down with a single finger. By tapping and holding the Quick Settings icon, you will access the settings, and by holding down a toggle you will be able to change the order of the toggles. If you can’t find your remote, you can use your Galaxy S4 to control a synced TV via the WatchON application. 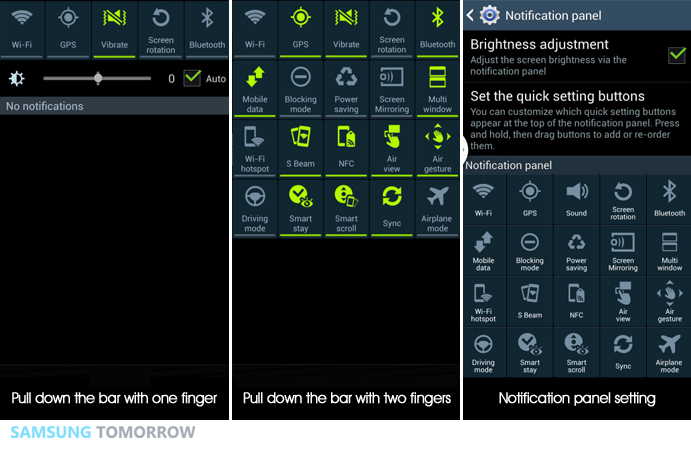 By going to the Application menu, then Settings, you will be able to add this application to your notification panel. 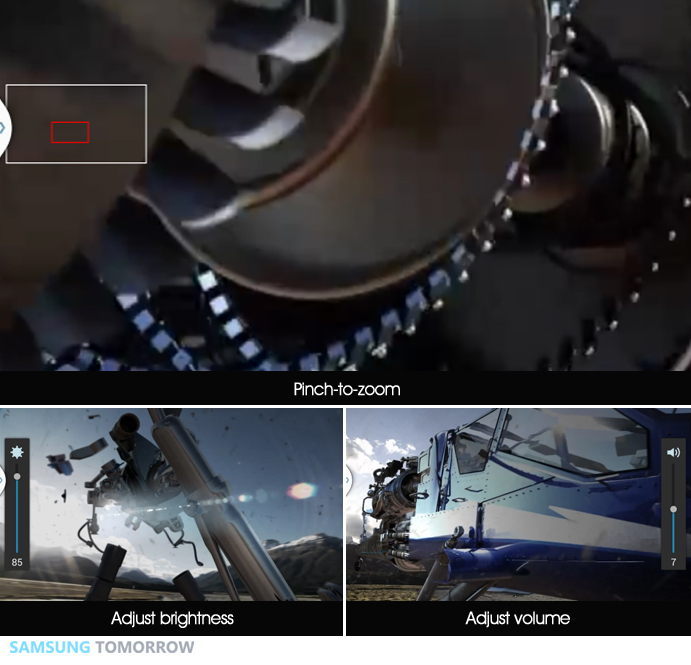 You can also control DVD and Blu-Ray devices, and Home Theatre systems due to the S4’s infrared sensor. This feature lets you do 2 things at once, like check your map while sending a text to a friend. 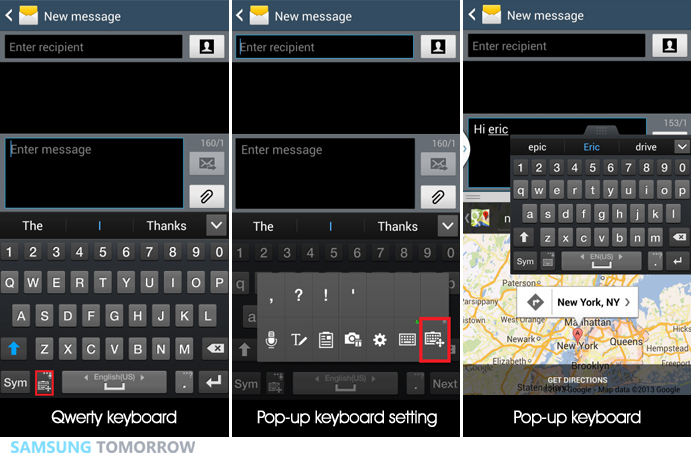 By going to keyboard settings, which is found next to the spacebar, you can select the pop-up keyboard, which has a “plus” sign on the keyboard logo. If you’re afraid your phone will start ringing while you are in a meeting, or wake you up while you’re sleeping, you can go to Settings, My Device, and Blocking Mode, so you can block incoming calls or texts for a selected period. You can also set an “Allowed” list with people from whom calls might be important or urgent, so you don’t miss out on anything. 5.Wi-Fi timer for efficient data usage. If you always seem to run out of data before the next month’s bill, you can use Galaxy S4’s WiFi Timer found in Settings-Connections-WiFi-Advanced-WiFi Timer. This feature will allow you to set starting and ending points for your usage. You can use stored networks to avoid going over your data plan, like the ones at home or work. 6.Adapt Sound optimizes sound quality. This is a useful feature for when you can’t hear a song just right. But instead of turning up the volume and risking injury, you can use the Adapt Sound function found in Settings, My Device, Sound, Adapt Sound. This function uses a series of beeps to analyze your hearing capabilities in both ears, and then calibrates your device to suite your needs. This one is for when you are having a tough time understanding the person on the phone, because you are near a street or in a busy mall. It gives you different equalizer settings, so you can use the one best implied for your situation. 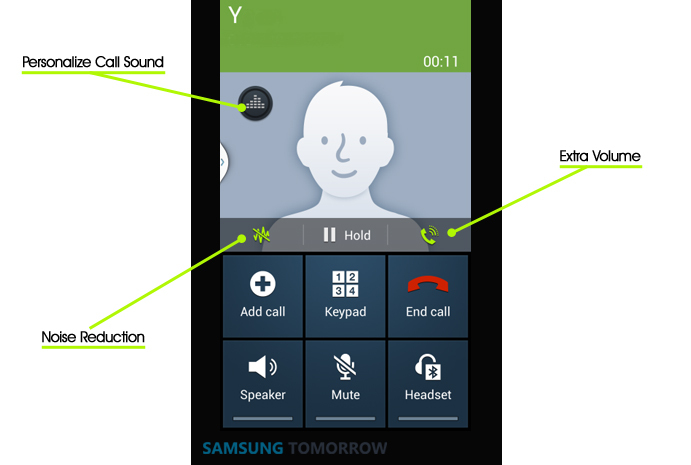 An extra volume button is available on the call screen as well, alongside a noise reduction button, which helps isolate your voice for the other person to hear. 8. An easier way for enjoying video content. This one is for those who are trying to catch a movie on their phones, or a YouTube video, but the screen is too dark, or the image is to small. You can zoom in and out of the image by widening your fingers (to zoom in) or pinching the image (to zoom out). Also, by touching the left side of the screen, you bring up the brightness setting, which lets you set the brightness of your video. By doing so on the right side, you bring up the volume control. You may have experienced missing the chance to take a good picture because you couldn’t activate the camera in time. The solution for this issue is going to Settings, My Device, Lock Screen, Lock Screen Widgets, and selecting the camera. From now, you will be able to open your camera directly from your lock screen. You can personalize your phone with a friendly or funny message, by going to Settings, My Device, Lock Screen, Lock Screen Widgets, and selecting Edit personal information. Another way to do it is by holding down the message on your lock screen and dragging it to the pencil icon that will appear. You can get the Galaxy S4 on Amazon.com for around $340. Also be sure to check out this great accessories brought to you by Amazon.com.